Today, here are some links to work published online recently—a review of Simon Roberts‘ photo exhibition, Pierdom on at Brighton Museum and Art Gallery until 21 February. And another post, The Big Night Out, over at Photofusion‘s website covering the Photofusion SALON/15 PV in December. I also write about my selection process, special mentions and the winner of the Hotshoe Photofusion Award 2015, Anthony Carr. Ahead of the UK May 6 election, photographer Simon Roberts is asking members of the public to be part of the first UK mass political photography project of its kind. “Alongside my own photographs, I’m calling for members of the public to contribute their own photographs of political activity in their area. 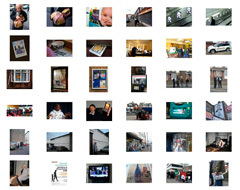 The submitted photograph will be displayed on The Election Project online gallery and some will be exhibited in the House of Commons later in the year. The General Election is, by definition, a democratic process. Your contributions will add a vital collaborative and democratic dimension to the project. Toby Smith Blog – Smith is working on a new body of work The Renewables Project to document the sustainable ‘alternatives’ available and is spending two months on-location to produce 12 large-scale images. “Living out of my van throughout the months of February and March, I hope to capture the dynamic Scottish landscape and wealth of renewables it has to offer,” he writes on his blog. His aim is also “to raise awareness and encourage discussion and debate amongst public and industry facing audiences.” To do this, Smith is documenting his working practice and is also running a social media campaign “to engage as many audiences as possible”. Simon Roberts wrote a blog while on the road for We English which served as a document of his four-month trip around England. It also assisted in his research for the project as people could follow his journey via the blog and comment with suggestions for places and events to document. Italian freelance photographer Pietro Masturzo has won the prestigious World Press Photo of the Year 2009. 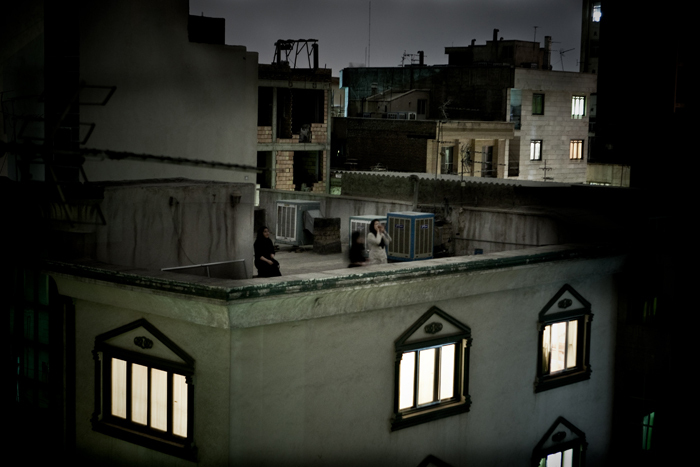 The photo shows women shouting in protest from a rooftop in Tehran and is part of a story depicting the nights following the contested presidential elections in Iran, when people shouted their dissent from roofs and balconies, after daytime protests in the streets. The story as a whole was awarded first prize in the category People in the News. Masturzo will receive the award at a ceremony held in Amsterdam in May. He also receives cash prize of €10,000, a Canon EOS Digital SLR Camera and lens kit. “Voies Off has offered an alternative approach to emerging contemporary photography, its particularities, its evolutions, and its areas of resistance.” Since 1996, the Voies Off festival has been advocating for the role of photography in contemporary art and other various creative practices, providing them with an international stage during the Rencontres d’Arles photo festival in Arles, France, and an alternative venue “for international photographic creation”. Nightly projections take place during the opening week of the Rencontres d’Arles festival (first full week in July) in the courtyard of the Archbishop’s Palace. Other events include daily portfolio reviews, professional “mornings,” and several thematic exhibitions. All events are free except for portfolio reviews. “Over twenty different nationalities are represented at each festival. Every year over sixty candidates are selected for the programme of the night-projections.